Yesterday we had cancer. Today we still might, and happily tomorrow is the first day of the rest of our lives. Sadly millions of us are in the same unpredictable boat. We have good cells and bad cells each with their own purpose. The bad cells have waited to rear their ugly heads in their own sweet time. Always at a time when we least expect it. We look for a reason as to why the bad cells appear. Is it hereditary or environmental? Did we activate it by eating processed foods? Control is what we strive for. Isn’t that what most of mankind needs? We cannot control our heritage’s medical conditions passed down … yet. Nor can we control the toxins and poisons in our environment though we have made a tiny difference. Both scenarios scare us. The third scenario is in our control – OUR FOOD intake. The majority of American’s eat foods at almost every meal that cause inflammation. Inflammation hinders the good cells from fighting off the bad cells. Wouldn’t it be fantastic if we could at least control and/or rid our bodies of inflammation? This is a great way to start the first day of the rest of our lives. We can assist our bodies in the fight of our lives. We can permanently change our health while enjoying delicious foods and incorporating them into new recipes that all our family members and friends will enjoy. Strawberries: The fruit is rich in vitamin C, which research shows helps stimulate the production of white blood cells. One cup offers almost 150% of your daily value of C.
Purple cabbage: The cabbage contains polyphenols, superstar antioxidants that decrease inflammation. Fill up on other polyphenol-packed purple foods like grapes, red wine, and blueberries. One study in Applied Physiology, Nutrition, and Metabolism found that eating nearly 2 cups of blueberries daily increased the activity of protective natural killer cells. Mushrooms: White button mushrooms have been found to trigger the production of white blood cells called macrophages. They are antimicrobial. Garlic, Ginger, carrots, celery, cilantro, parsley and parsnips. Vegetables with the Modest Anti-cancer Activity. 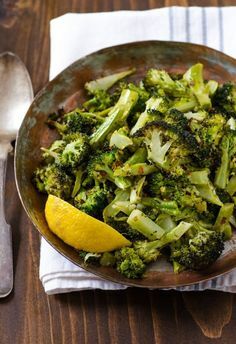 Vegetables such as broccoli, Brussels sprouts and cauliflower, tomatoes and peppers. Eat Bison, Salmon, Sardines, Turkey rather than Beef and Chicken with harmful hormones. Eliminate all refined sugar and artificial sweeteners. This includes Bread and Pasta. Dried Plums or Prunes. They have twice as much potassium as bananas and 38 percent more antioxidants than blueberries! They may also help to lower blood cholesterol levels. Beets. Contain fiber, iron, and Vitamin C. Plus, they contain betacyanin – a powerful cancer-fighting agent that has been shown to help prevent colon cancer in particular. They also contain antioxidants that have been shown to lower total cholesterol while increasing HDL (good) cholesterol! Pumpkin. A serving of pumpkin has nearly 3 grams of fiber, and is packed with beta carotene – an antioxidant that can help improve immune function and reduce the risk for cancer and heart disease. Fresh pumpkin is only available in the fall and winter months, but canned pumpkin is just as healthy and available all year round. Cut fresh peeled pumpkin into chunks and roast with a bit of olive oil, salt, and pepper; drop a generous scoop of canned pumpkin into plain pancake batter; make a soup from canned pumpkin, chicken broth, and fat free half and half; OR make a pumpkin pie. Eggplant. Packed with fiber, and contains Vitamins B1, B3, and B6. Plus, it contains chlorogenic acid – one of the most potent free radical scavengers you can find in a vegetable, and nasunin – a powerful antioxidant that has been shown to protect lipids in brain cells, prevent cellular damage that can lead to cancer, and help prevent rheumatoid arthritis. Purée roasted eggplant, garlic, tahini, lemon juice and olive oil to make home-made baba ganoush that you can use in sandwiches or as a dip; add cubes eggplant to stir-fry; or again, add to a pan of roasted vegetables. Beans. Benefits range from helping to prevent cancer and heart disease to regulating blood sugar. Plus, they’re loaded with antioxidants, protein, and fiber. Dried beans are the cheapest, but canned beans work great if you’re short on time. Try throwing them in a pasta salad with veggies and a can of rinsed chickpeas; use kidney beans to replace half the meat you would normally use in chili; or serve canned, diced tomatoes with onion, green pepper, and black eyed peas over rice. Bottom line. We can control our food intake and these little changes in your diet can mean a big difference later on. The best part, you’ll feel better too! *Robin is not a trained/certified dietician or nutritionist; she is a CHN volunteer that has done research and found eating these types of foods helped her. Always consult with your oncologist or doctor before starting a specific diet regimen. Previous Previous post: A Clinical Trial to Treat My Cancer? Next Next post: Sharing the Wealth and Health this Summer!